This accurate boatbuilding and repair email list is the tool you need to turn the tide against your competition! Just download it to get the verified contact information of key sales leads who help keep people and cargo afloat every day. Don't let bad data sink your marketing campaign! 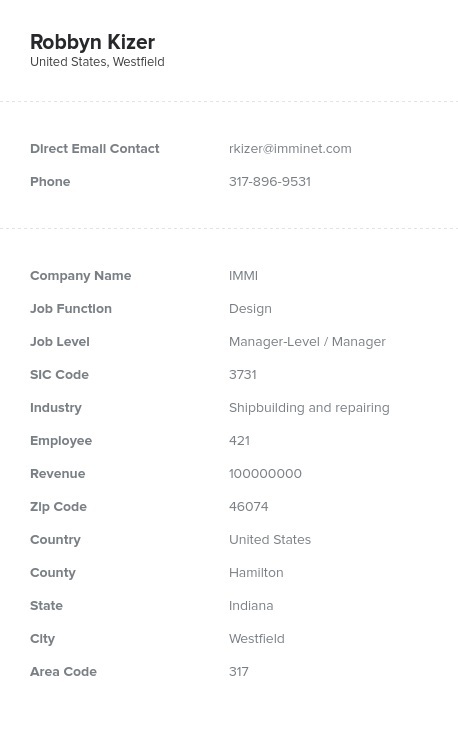 With this boatbuilding industry email database, you'll get nothing but accurate, up-to-date, specific details that you can use to form important B2B connections and bring more customers aboard. In fact, we double-check every email marketing list we sell with machines and by hand, so you know that all you'll get will be verified, usable sales leads. Buy our shipbuilders mailing list and you'll be awash in direct contact information, such as email addresses, phone numbers, mailing addresses, and fax numbers. You'll also get each person's real name, job title, and company information, so you'll be well-prepared to reach out to them and build business relationships. It's easy to shove off with this targeted boat manufacturer email list. Just buy it, download the .CSV file, import it into your sales software, and you'll be ready to start talking to people in the shipbuilding industry who'd be most likely to buy your products. But while this business database is a great tool for your sales staff, its cost is just a drop in the bucket compared to its worth. We aim to make all of our B2B email lists both affordable and invaluable. Buy this boat producers email database and it'll be full steam ahead for your marketing campaign!